Our impartial advice, carrier-neutral status and flexible professional solutions make us the first choice for customers looking for a UK based specialist connectivity and hosting provider with the technical expertise and experience to help you find the right solutions. 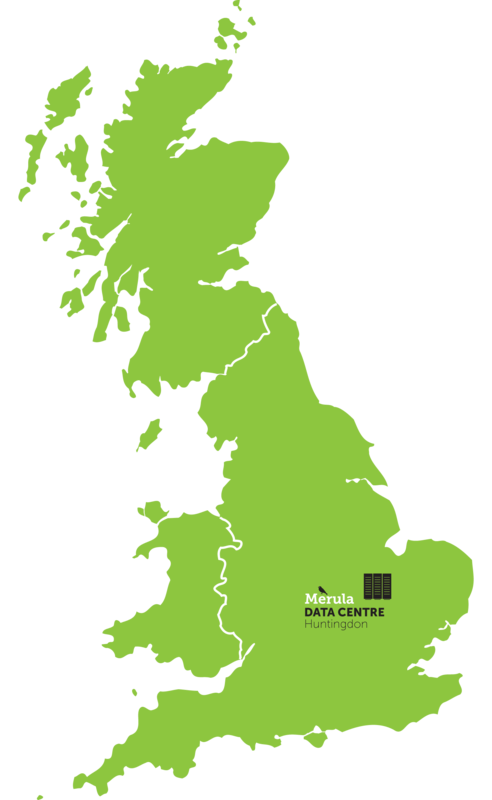 Merula Ltd provides a range of specialist internet solutions for business and education from a dedicated, state-of-the-art Data Centre in Huntingdon, Cambridgeshire, UK. Customers in and around Cambridge and across the UK and Europe choose us for fast, reliable internet solutions that have been designed around their specific needs. Our impartial advice, carrier-neutral status and flexible professional solutions make us the first choice for customers looking for a specialist provider with the flexibility and know-how to support their requirements. Our packages include services for the occasional user right through to the provision of high speed internet and critical inter-site links, rackspace and server solutions to multi-national organisations. Whatever your internet or connectivity needs, we can help. Merula operates a dedicated UK Data Centre in Huntingdon, Cambridge, UK. Fully cooled and temperature managed, our centre has received more than £1m of investment to state-of-the-art technology and a solid, reliable infrastructure for our network. Our dedicated data centre has full UPS (Uninterruptible Power Supply) and resilient generators with enough fuel to keep the centre fully running for more than 3 days. We have fast, resilient internet links to London, Manchester and Cambridge ensuring fast reliable connectivity at all times. Our highly skilled engineers are on hand to help with any on site support you may need. Virtually all of our hosted solutions are supplied from our Huntingdon data centre. Our flexible range of solutions is based on fair pricing and transparent service level agreements. All of our products can be tailored to your specific requirements. “Merula provide a very reliable and cost-effective service, with high levels of technical expertise on hand. They’ve offered useful technical advice in many areas such as SQL Server, networking and email and domain management. “When I needed to start working from home Merula were the obvious people to speak to.